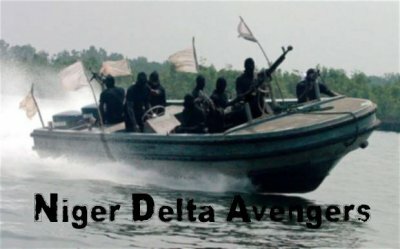 The Niger Delta Avengers have release a shocking statement in their official website stating that they want peace with honor not peace of their time. In a statement signed by their spokesperson Brig,Gen Mudoch Agbinibo the freedom fighters lamented that the government is using some scrupulous element from the region to distablise their effort to Restore their dignity. Some parts of the statement reads "The struggle has always being a Pan-Niger Delta one, we only know the anti Niger Delta elements are using some disorganized characters from the region to scuttle all effort to restore the essence of our humanity; resources control and self-determination." The group also stated that they would support any negotiation team led by Chief Pa Edwin Clark. "We are going to support any collective/negotiation team emerging from the Chief (Dr.) Papa Edwin Kiagbodo Clark Niger Delta elders and genuine stakeholders conference to engage with the federal government of Nigeria, representatives from the home countries of all multinational Oil Corporations and neutral international mediators that will be focused on achieving the short, medium and long term frameworks and objectives to de-escalating conflicts in the Niger Delta. The group also pointed out what should be discussed and implemented during the negotiation should it stand which includes "declarations and recommendations of the likes of the Sir.Henry Willinks minority rights reports of pre- independence Nigeria (1957-8), The Kaiama Declaration document, The General Alexander Ogomudia report, The Leedum Mittee headed, Niger Delta Technical Committee report and restructuring to fiscal federalism. However the group reinstated their commitment to bring a lasting peace in the region not peace of their time. "We have resolved to reject any idea of the peace of our times; we want the peace with honor this time around! In the statement they cautioned the Elders who are going to negotiate on behalf of them to handle the matter with care as making mistake will cause them to deviate and use their asymmetric warfare. The statement reads "Our advice to our Niger Delta elders and genuine stakeholders is that, whenever this inhuman project called Nigeria and her government is ready for dialogue/negotiations with them, this mandate should be treated with that care as driving a vehicle like that of a truck laden with fire. We are going to continue the observation of our unannounced cessation of hostilities in the Niger Delta against all interest of the Multinational oil Corporations, but we will continuously adopt our asymmetric warfare during this period if, the Nigerian government and the ruling political APC continues to use security agencies/agents, formations and politicians to arrest, intimidate, invade and harass innocent citizens, suspected NDA members and invade especially Ijaw communities. We promise to fight more for the Niger Delta, if this opportunity fails. Therefore, we will give our Niger Delta elders and genuine stakeholders that tacit support to the dialogue table with the government and the Multinational oil Corporations whenever the enabling environment prevails." They also warn some set of people they accuse of sabotaging the struggle. "We also use this medium to warn those using rogue platforms like the defunct so- called MEND, RNDA- Cynthia Whyte especially Charles Okah who is franchising these internet based banditry from his prison cell, through Victor Ebikabowei Ben (Boyloaf), Timipre Silva, Selekaye Ebikabowei, Ayirimi Emani, Michael Johnny, Governor Adams Oshiomole to please inform those their paymasters that the days of doom are here. That those sold and bought up interests from around the corridors of power cannot arm- twist the NDA with bandits, drug addicts, illegal bunkerers, bank robbers and disorganized characters to derail the Niger Delta struggle. Recall that the group had earlier stated that exporting oil out from the region must stop before any negotiation would commence. The last statement of Dr Ibe Kachukwu shows that the activities of the group have grounded oil production in the region.